We can't wait to read Molly Bloom's new tell-all memoir about the massive games she used to host featuring some of Hollywood's biggest stars. An excerpt appeared in Vanity Fair earlier this week and gives readers an idea of the juicy stories they can expect to read. 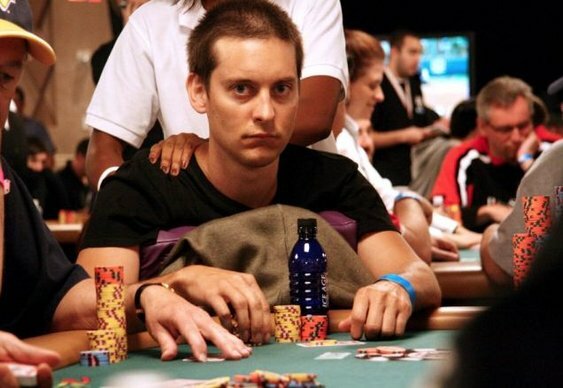 In the piece, entitled 'Inside the Viper Room: Hollywood’s Most Exclusive Poker Game', Bloom confirms that big name players included Ben Affleck 'a smart player who liked to limit his downside' and Tobey Maguire 'the best player, and the absolute worst loser'. Bloom was complimentary about Affleck but was less than impressed with some of Maguire's antics at the table. According to the so-called 'poker princess', he once offered her a $1k chip if she would bark like a seal! She also talks about how the games sometimes had $2m on the table and how on one occasion she scooped $50,000 in tips. The book itself, 'Molly's Game: From Hollywood's Elite to Wall Street's Billionaire Boys Club, My High-Stakes Adventure in the World of Underground Poker' is published in the UK at the end of July.